Why download three apps when you can download one? Eliminate the need to download multiple travel apps. Use GoEuro, the ultimate UK transport app, instead. With the simple touch of a button, users can find the best options for travel by train, coach, or air. 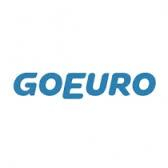 GoEuro is the first app available in the UK that allows users to find the cheapest, fastest, or best way to travel. Compare travel times and prices from over 160 rail and coach companies. The coverage within the UK is extensive, allowing users to search for tickets from their small towns and villages to 3,816 unique locations around the country. This unique new app makes rail and coach travel as easy to search as air travel. 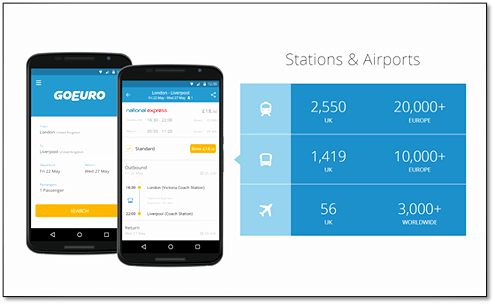 GoEuro covers 4,025 train stations, coach terminals, and airports across the UK, in addition to 33,000 unique destinations in Europe. There are booking options in several European markets, including London, Brussels, and Amsterdam. Traditionally websites and apps have focused only on air and accommodation bookings. However, the popularity of rail and coach transport has increased significantly in the UK and Europe. This opened a huge gap in the market and an opportunity to combine all modes of transport into one app. GoEuro makes traveling less stressful by combining three travel apps into one, simple to use app. GoEuro is available on Android and iOS devices.